Typed letter, signed, from Fannie Littleton Kline to Dean of Women Roberta Hollingsworth, 3 April 1942. When Caroline Preston Davis applied to the University in 1892 the faculty agreed to allow women to register as special students. They could not attend classes but were tutored privately by the professors. Examinations were administered separately from the men's. Those who passed examinations at the end of the year were issued certificates of proficiency, not degrees. Fannie Littleton Kline was one of the first women to attend the University of Virginia, beginning work with Chemistry professor John William Mallet in 1893. 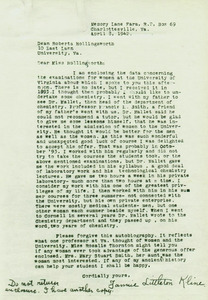 Half a century later she recalled her experiences in this letter to Dean of Women Roberta Hollingsworth. 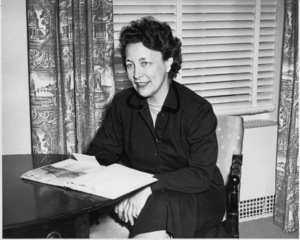 Dean of Women Roberta Hollingsworth Gwathmey, no date. 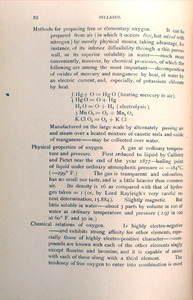 J. W. Mallet, Syllabus of a Course of Lectures on General Chemistry. Charlottesville: Geo. W. Oliver, 1890.